I’m absolutely terrified of insects, but when it comes to picking crucial issues that affect our planet it really doesn’t matter what you’re scared of. Bees are vital to our ecosystem as well as our food and my fear in the end really doesn’t matter, for we couldn’t live as we do today without bees. The truth is it’s actually quite amazing that such a little being can do so much for such a big world! Since the 90’s there have been reports of beekeepers observing mysterious disappearances of bees. This past winter alone 33% of all the colonies in the US died, which is double of the acceptable natural amount. The problem has actually gotten to such a dangerous level that entomologists have started warning us that we don’t have enough bees to maintain our countries pollination demands. And if the bees go they will take a lot of our ecosystem with them. Bees pollinate 80% of all of our flowering crops in the US, which ends up translating to a 1/3 of everything we eat. Fruits like apples & oranges, vegetables like squash & pumpkins, nuts like almonds & macadamia nuts and spices like cocoa & vanilla. As all of these crops start to get affected other parts of our ecosystem will start to suffer too. Animals and humans depend crucially in all these crops. Even our dairy and beef industry depends on bees. Alfalfa for example, another crop pollinated by bees would reduce to such low levels that we wouldn’t have enough to feed our cattle. Combined efforts have to be taken to save our bees. Honey has almost 600 compounds and countless health benefits, most of which are not commonly known. In fact honey is so good for us that it has practically no side effects on our body. We can even go as far as viewing it as a type of organic medicine since it contains multiple properties that act as antiviral, antifungal, antibacterial, anti-tumor, anti-metastatic and anti-parasitic. 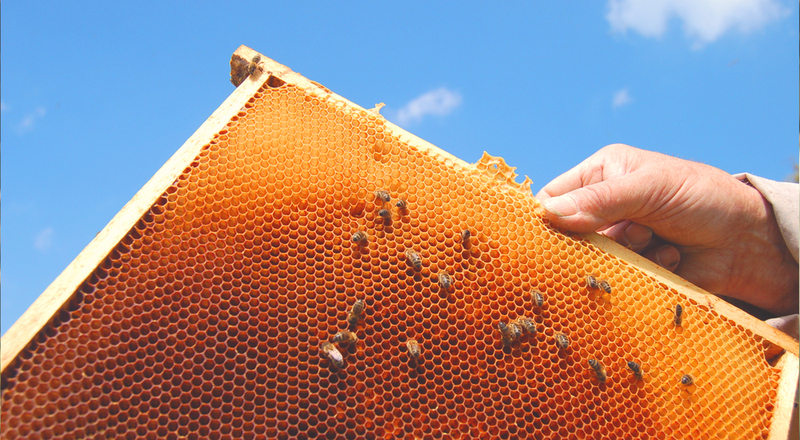 It seems that even when virus or bacteria mutate, honey is still steps ahead. Improves the immune system by increasing white blood and red blood cell count as well as hemoglobin, CD4, CD8, platelet, lymphocyte and neutrophil count. Contains essential vitamins, minerals, antioxidants and enzymes that stabilize your immune system, relieving inflammation and eliminating allergies related to bronchitis. Good Manya is a world improvement project that fights both environmental and social issues using design and products. Through a full circle system and a mainstream media positioning we seek to expand our audience from: people typically interested in world issues to the general masses. The ultimate purpose for Good Manya is to inspire our audience to change their actions, while also giving them the tools to make those changes in their day to day lives. With bees in particular we support the demands and efforts proposed by Greenpeace and we urge everyone to donate, support and volunteer for the cause. As for our products, the “For the bees” Pixelcat doll pillow was created to represent the struggle of the bees. We have designed and crafted the pillow ourselves and have used as many sustainable materials as possible for its production. We continue our efforts by currently seeking to join forces with a non-profit or organization to work together to help the bees.